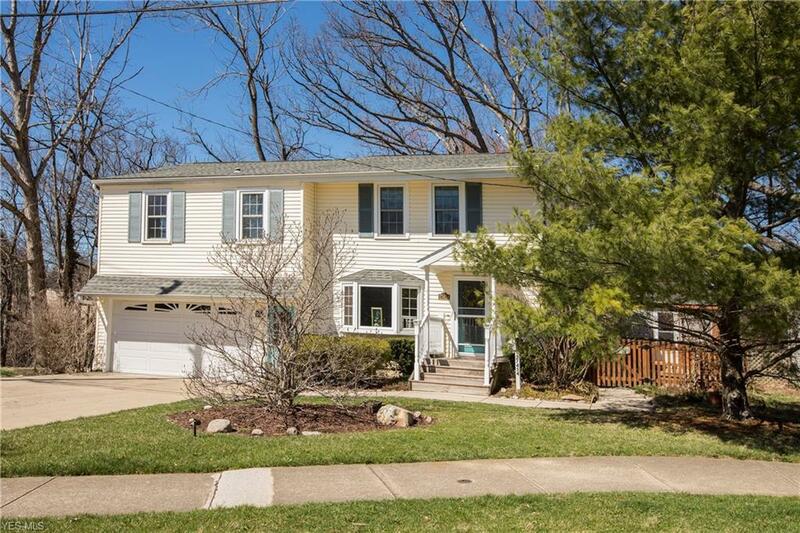 Prepare to be Moved!...Special Financing Available...Into this lovely colonial in Bay Village with Cahoon creek views, private fenced lot & separate in-law suite! You'll feel right at home as you step into the sunny living room with bay window, built-ins & beautiful stone gas fireplace. Soft neutral tones provide the perfect palette for any decor. Eat-in kitchen has plenty of crisp white cabinets & bay window overlooking the backyard. All appliances stay! Kitchen flows into the family room with ceiling fan, beautiful laminate flooring and sliding door out to deck. 1st floor full bath! Upstairs features 3 bedrooms that share a full bath. Home includes updated apartment (2016) over garage that could be used as an in-law suite, studio or rental unit! You'll love relaxing on the large wrap around deck with access to the private yard & creek / valley views. Enjoy watching the changing seasons from the 3 season porch located on the expansive deck with built-in seating and gorgeous views. Additional space over garage has separate entrance with full kitchen, living / dining area in addition to bedroom and full bath. So many options in this flexible space! Updates include newer roof, siding & gutters (2005), deck (2006), sump pump with water proof basement wall (2017) & 2nd floor freshly painted (2019). Backyard features shed for all of your yard toys! Great central location with access to shopping, restaurants, schools, parks and Lake Erie! This one-of-a-kind home is waiting for you!